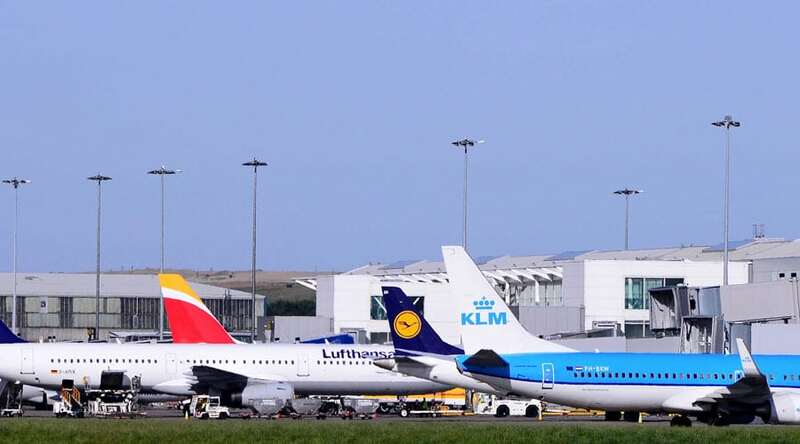 Situated in the West Midlands and offering fantastic links to the most popular cities in the UK, Birmingham Airport is a hotspot for personal and business travellers alike. Whether you’re a frequent flyer or planning a one-off personal trip, Starr Luxury Cars can help make your journey easier with Birmingham Airport luxury transfers. Having years of experience in chauffeuring clients from every walk of life, we offer one of the most prestigious airport chauffeur services in the UK, ensuring you reach your destination on time and feeling relaxed. We always use discretion and provide professional Birmingham Airport chauffeur services to personal and corporate clients as well as VIPs. We are proud to have some of the most professional, reliable and experienced chauffeurs in the UK working for us. From the moment our chauffeur arrives to pick you up, you will experience true first-class travel; your chauffeur will handle all the loading and unloading of your luggage and you will be free to work or relax as you please in the finest surroundings of the prestige hire car of your choice. Share your travel details with us and we’ll be happy to provide exclusive pre-booked return transfers to and from Birmingham Airport, ensuring you avoid long waiting times and busy crowds, continuing your journey with five-star treatment. Our Birmingham Airport chauffeur service will be tailored to your individual needs, allowing you plenty of time to check-in and board your flight without feeling rushed or stressed. Whether you’re travelling out from Birmingham Airport or arriving in the UK, your dedicated chauffeur will arrive promptly and ensure you get to your destination as quickly and safely as possible. If you’re flying into Birmingham Airport, our expert team will track your live flight information for you. Having provided luxury airport transfers for many years, we understand that your flights don’t always go to plan, so we will ensure your chauffeur is there to meet you should your flight be early or delayed, allowing you to carry on the rest of your journey immediately. If you’re flying out from the airport, Starr Luxury Cars also offer an exclusive Birmingham Airport assistance service, providing a professional hostess to stay with you during your waiting time, helping with luggage and ensuring you always feel relaxed. Our extensive list of chauffeur-driven prestige hire cars is ever-growing, allowing you to select from the latest models as well as cars to suit any group or occasions. For luxury corporate airport transfers we have beautiful Mercedes, Audis and BMWs to hire or for a special trip, you may like to opt for a Rolls-Royce or Bentley, the epitome of luxury. Whichever prestigious model you choose, each is maintained and serviced to ensure the highest quality. With a range of state-of-the-art features and top technology, your travel experience should be impressive as standard, but for certain groups or occasions you may like to choose from our list of luxury extras, including child car seats and luxury alcohol packages to make your journey more enjoyable. Regardless of your timings and choice, Starr Luxury Cars can guarantee that you will experience one of the most luxurious and sumptuously comfortable journeys to Birmingham Airport you have ever been on.